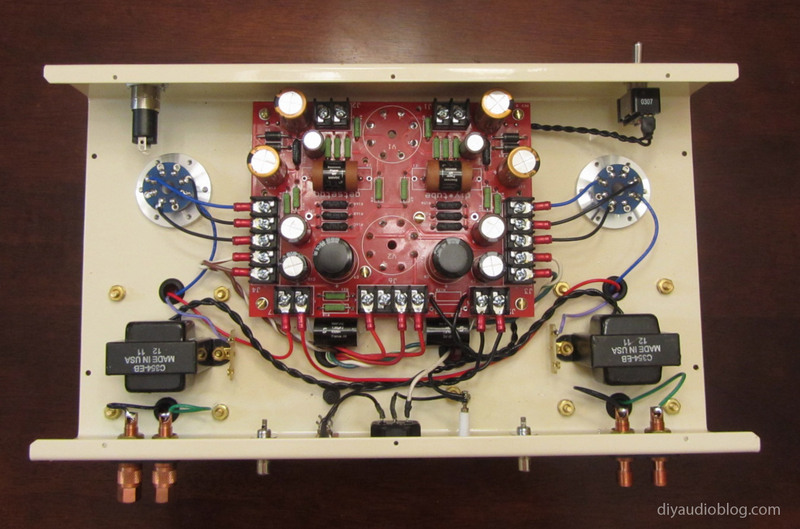 Shannon Parks, head-honcho of DIYTube, has made plenty of projects available since 2003 when the DIYTube ST35 clone was made available. 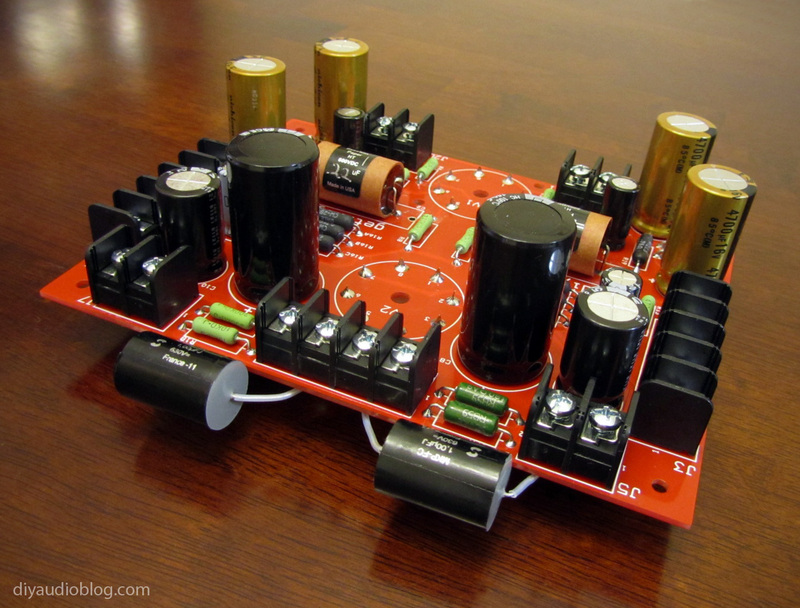 Since then, a handful of projects have been released, from the 60 watt Eiclone amplifier to driver boards for Dynacos to stand-alone single-ended amplifiers like the Clementine and Get Set Go. 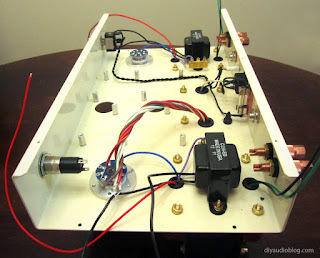 The projects are all well documented, feature circuit boards for easy building and if a builder runs into trouble, DIYTube features a forum with a very friendly user-base that is happy to help with problems. This post is dedicated to the building of the Get*Set*Go. Get "Set" Go is a cute play on words for SET (Single Ended Triode). The tube compliment features an on-board 6SL7 driver and 6AX5GT rectifier, which feed two 6B4G power tubes running in single-ended Class A with no feedback. 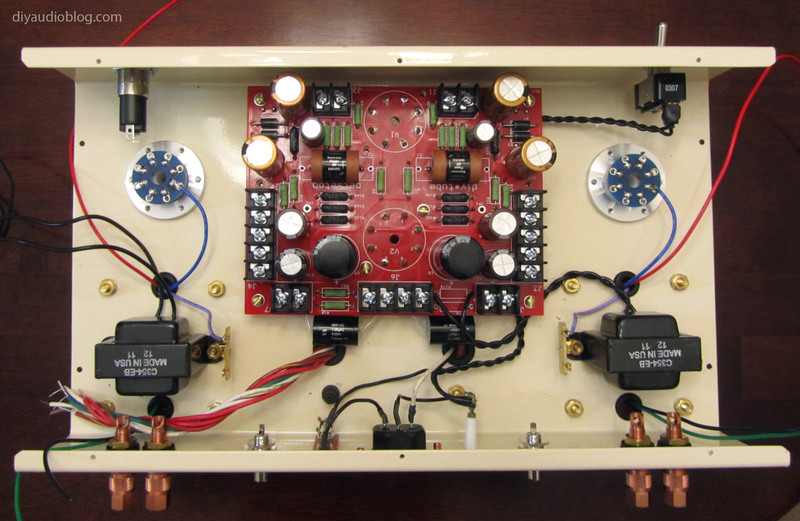 Power output is approximately 3 watts, so it's important to pair this amplifier with some very efficient speakers. 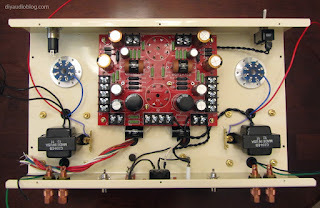 A variety of transformers can be used, including James, Triode Electronics, Edcor, etc. 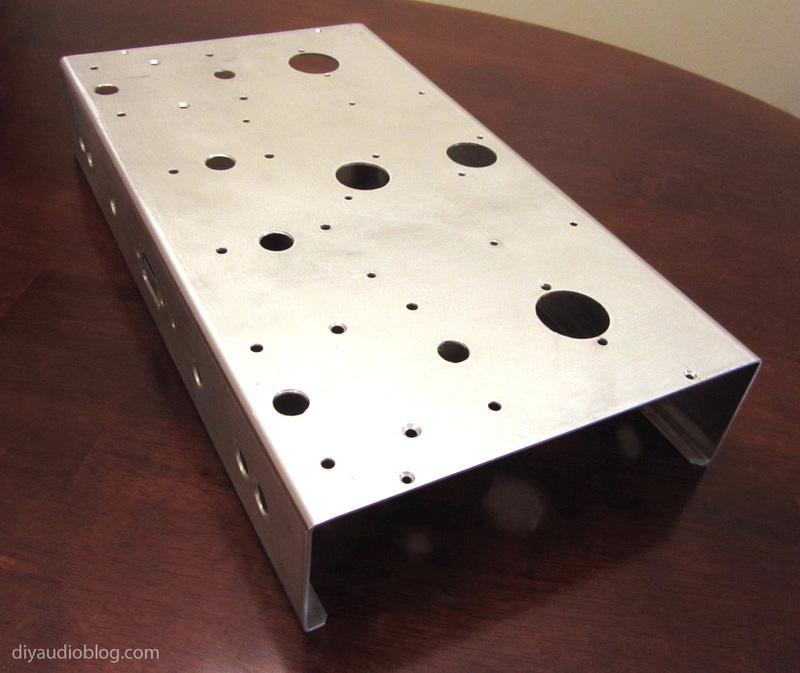 James 6113HS outputs were the initial recommendation on the BoM (bill of materials), however it seems there are no local suppliers at them moment, and having them shipped overseas is an expensive proposition due to the weight. Transcendar TT-312-OT 5K were settled on for the outputs for this build, they're a very highly recommended value and made in the U.S. 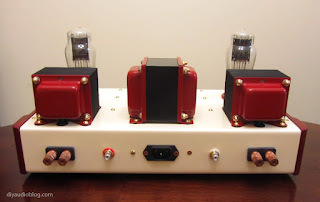 The power transformer is the Triode Electronics PA-774, which is a well-made clone of the Dynaco ST-35 PA-774 transformer. 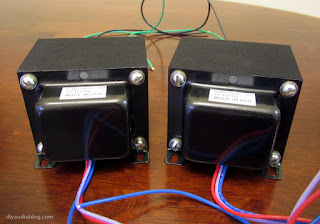 The laminations of this transformer are a natural metal finish, and since the 312-OT outputs are wrapped with adhesive black cloth tape, I wanted the PA-774 to match a little better. The particular cloth tape that Gery at Transcendar uses runs $50+ a roll, which wouldn't really be worth the cost for a single application, so black engine enamel was settled on to darken the lams on the PA-774 for its high heat properties. 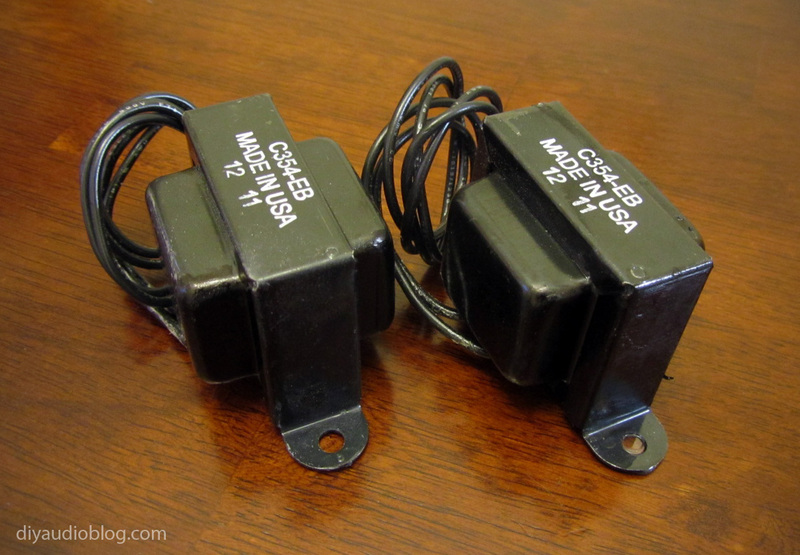 Also from Triode Electronics is a pair of reproduction C-354 chokes. These little guys will help reduce ripple in the power supply. The chokes arrived with a bit of excess transformer lacquer that had solidified roughly on the edges, which is perfectly fine but not the most attractive thing to look at. A little bit of sanding and a black oil-based Sharpie touch-up worked wonders. I had the aluminum chassis made for this build from my friend Keith (po1019 on Ebay) with beautiful walnut side panels. 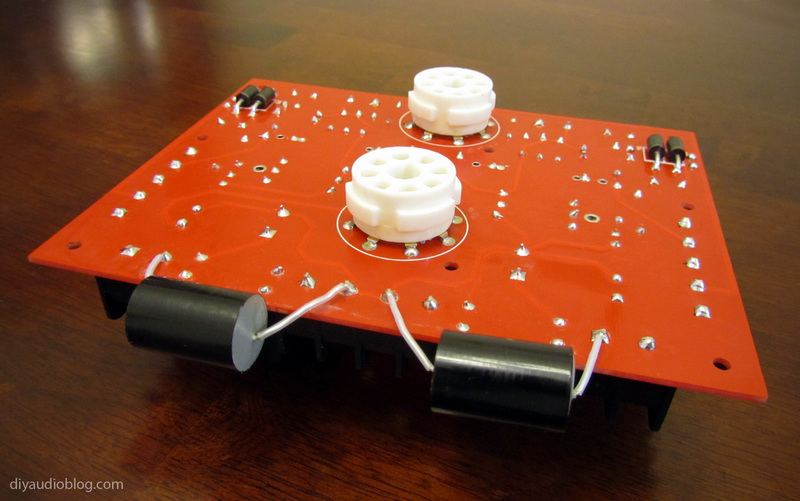 The build begins with the silk-screened bright red PCB made of FR4 fiberglass. 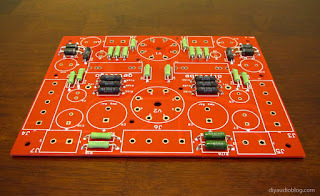 Beginning with the smallest parts (resistors and diodes) and working up to the larger parts (capacitors), the board is carefully populated. This begins with Kiwame carbon film resistors, along with Vishay and Mills wirewound power resistors. 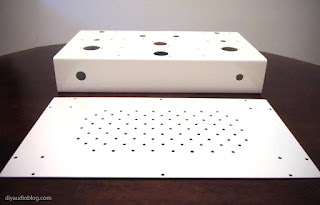 Next came creating all the necessary holes in the chassis using a combination of the drill press, Greenlee die punches for the tube holes and a Dremel cutting disc for the IEC inlet. Below is the chassis ready for a fresh coat of paint at the powdercoater. The chassis was then powdercoated a warm cream color. The components can now be added. Cardas copper binding posts, Cardas RCAs, Teflon 8-pin tube sockets, and VT4C aluminum tube surrounds were installed. The chokes and transformers were installed using a combination of rubber washers, brass washers, locking washers and brass nuts. 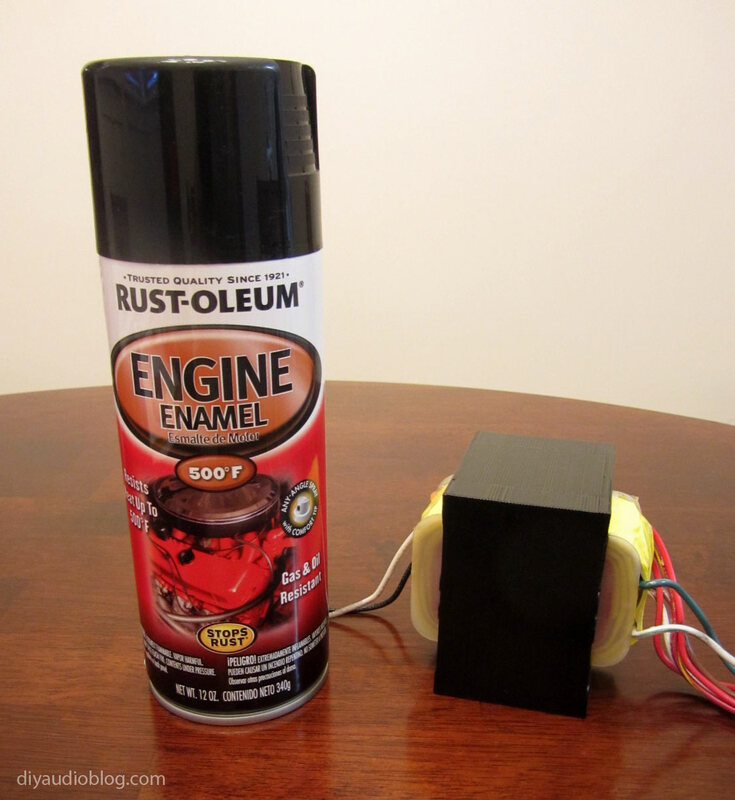 The rubber washers are used to help dampen vibration from the transformers to the chassis. A heavy duty toggle switch was added to the front of the chassis for the sake of convenience. The usual vintage-style pilot light was also added to the front panel. Once the parts were in place, the PCB could be fitted on top of the standoffs. This is when you find out how accurate your drill-work is ;) Thankfully all the holes lined up and a few screws were placed to keep the board secured. The Get Set Go makes use of convenient barrier terminal blocks so that the board can easily be removed without an iron if the situation calls for it. Each wire is trimmed to size and a small binding post is attached at the wire termination, the binding post is then screwed to the board with a standard Philips head screwdriver. I did take note of Shannon's suggestion that a few of the power resistors should be mounted on the other side of the board to maximize heat dissipation, so R15B, R16B, R19 and R20 were relocated. 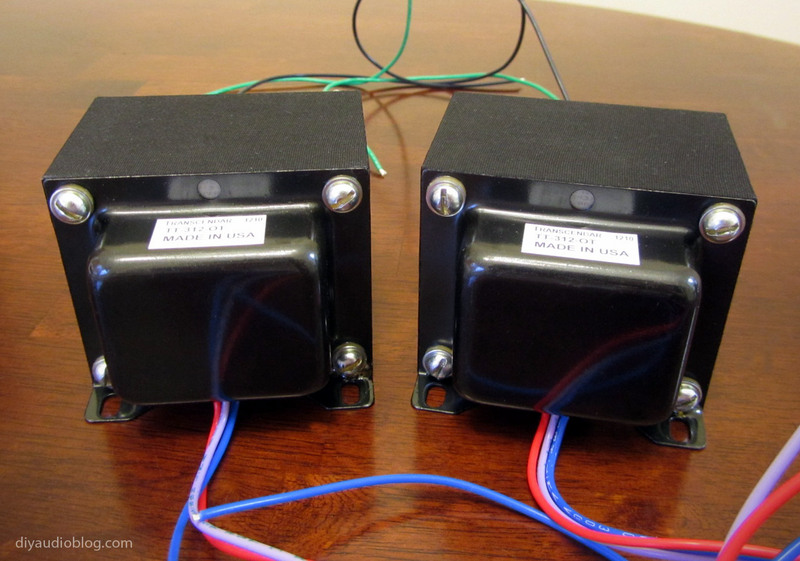 Two pieces of shielded Cardas 2x21.5 were trimmed to size and used to run the low level signal to the board. 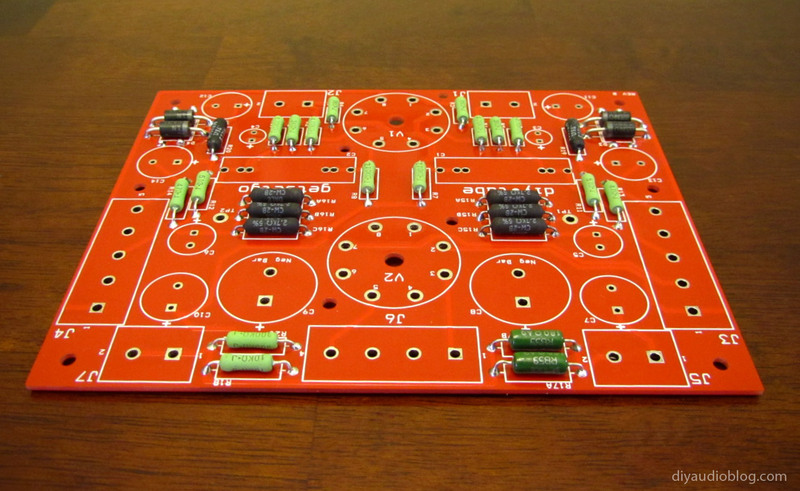 Finally the Bayonet light featuring a 6.3V LED was wired to the board, completing the project. The bottom was screwed on and some nice tubes were dropped in place. 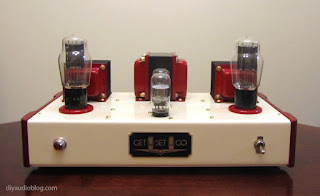 I was able to source a nice pair of matched Raytheon 6B4G tubes, a coin-base GE 6SL7 driver and a Sylvania 6AX5GT. I designed the nice little engraved plate in Illustrator. Anyone who wants to use it is welcome (for non-commercial applications). The amplifier started up right away with no issues thanks to Shannon's great online documentation. The response was crisp and clear, and the bottom-end was more plentiful than I was expecting from such a low wattage output. 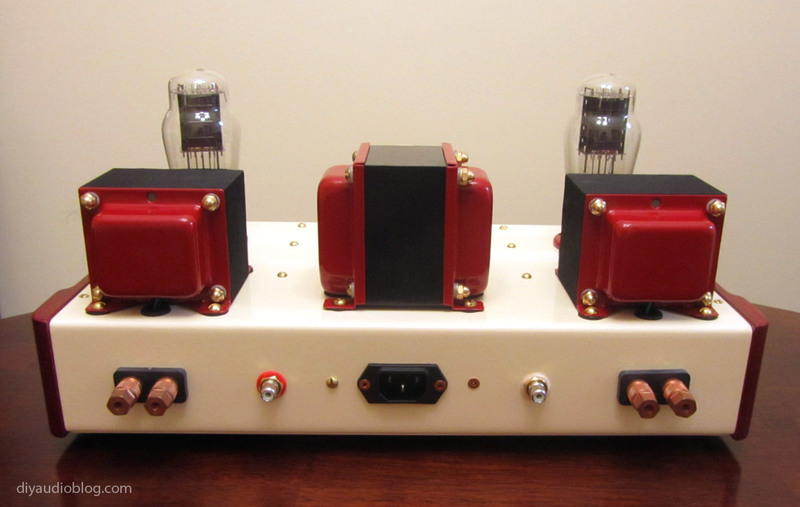 I'd imagine with the 5K output transformers the output is likely around 2.5 watts. It still needs a little help from a subwoofer in my humble opinion, but the sound is quite nice. Want more? 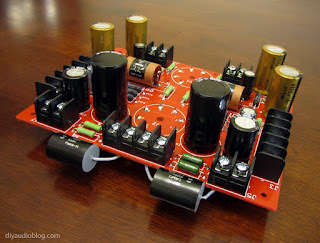 Read about another DIYTube SET build: the Clementine. Need some high quality audio cables to take your music to the next level? Contact Zynsonix Audio for a great sounding solution. Nice job! 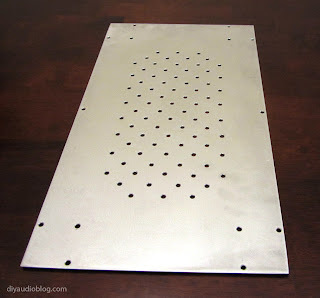 What are the dimensions of the top plate? Thanks! 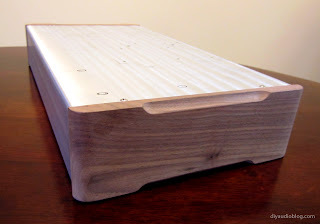 The top of the chassis measures roughly 14.5" x 8", or about 15.5" x 8" if the wood side panels are included. 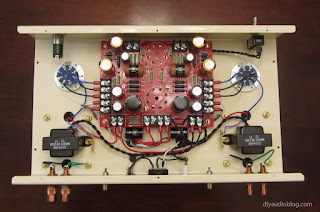 I've seen Tom McNally get away with a smaller 12" x 8" chassis, I just wanted to have a little more room between the power transformer and the output transformers. I'm building a GSG as my first ever build. What positions did you use the Nichicons and Elnas for? I'm about to order parts for the PCB and I'd like some cost effective upgrades. Hi Wesley, If I recall correctly, C11-C14 were Nichicons, C5 and C6 were Elnas.